Combination packs of personal defense ammunition from the Hydra-Shok and American Eagle lines. 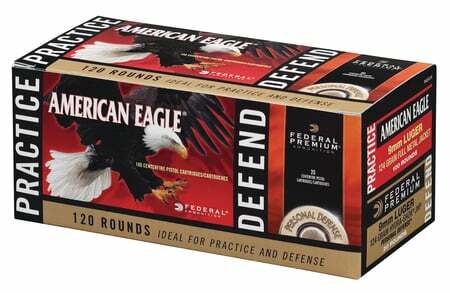 Use the American Eagle rounds for practice and the Hydra-Shok for personal defense. Includes one 20-round box of P9HS1 and two 50-round boxes of AE9AP.